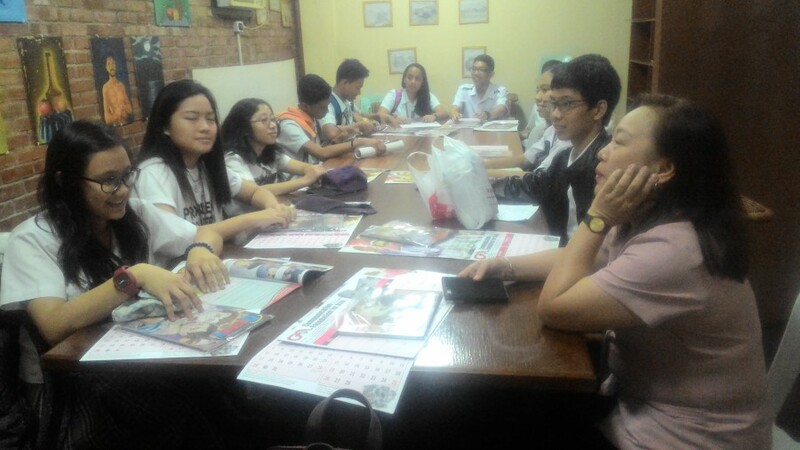 Students from the Valenzuela City Mathematics and Science High School were mentored by CFA last December 2 for their Regional Broadcasting Competition. CFA’s Electronic Media Department gave tips on the basics of production and hands-on training for live broadcast while the Publications Department gave them a glimpse of the process of Gospel Storytelling. 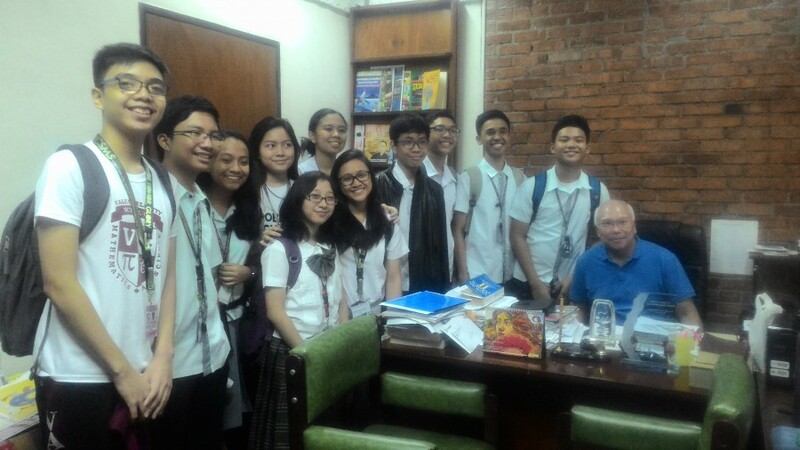 The students also visited CFA’s President, Fr. 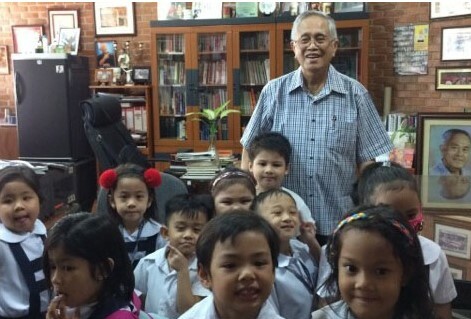 Filoteo Pelingon, MSC and Consultant of the President, Fr. Benjamin Alforque, MSC to get inspirations and words of wisdom. 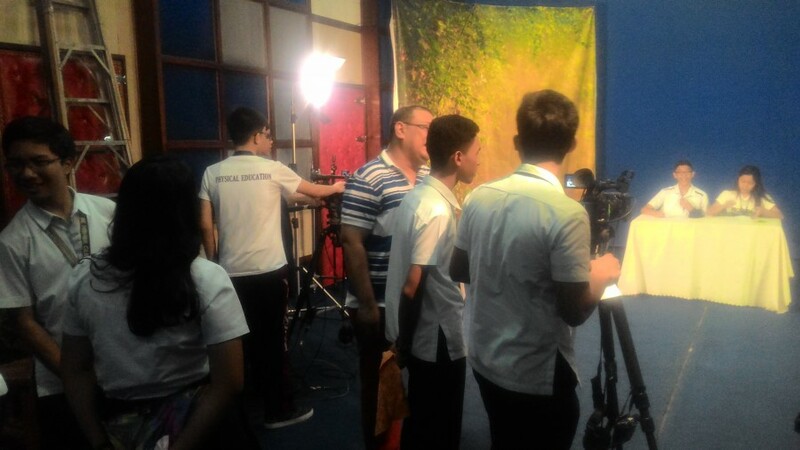 The Regional TV Broadcasting Competition was held last December 3 and the students won 2nd place in the said contest. CFA congratulates the VCMSHS students and is glad to be of service to them. Valenzuela City School of Math and Science is a specialized public high school in Valenzuela City, p_20161201_151228Philippines. Established in 2003 as the Valenzuela City Science High School, it offers to residents of the city a special advanced curriculum with emphasis on the fields of mathematics and science. 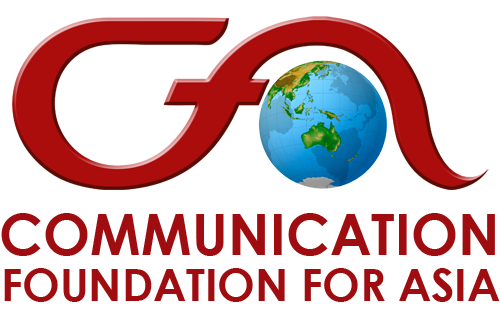 The school also has a specialized range of subjects in technology, engineering, and language.